Wow, what a listen! 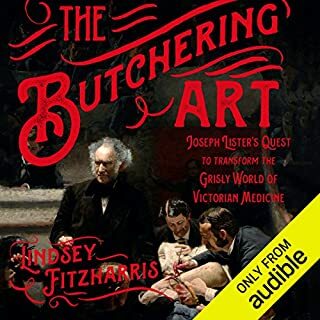 This is a truly enlightening book about the realities of surgery and medicine in the 1800’s and what men like Joseph Lister contributed to medical science. They helped change the outcomes for thousands of people. As a nurse, I am forever grateful for their research and for laying the groundwork for modern medicine! Fitzharris describes very bluntly what it was like in the operating theater and the dissection room. Ill admit I couldn’t finish my spaghetti while listening to some of these spots over lunch!